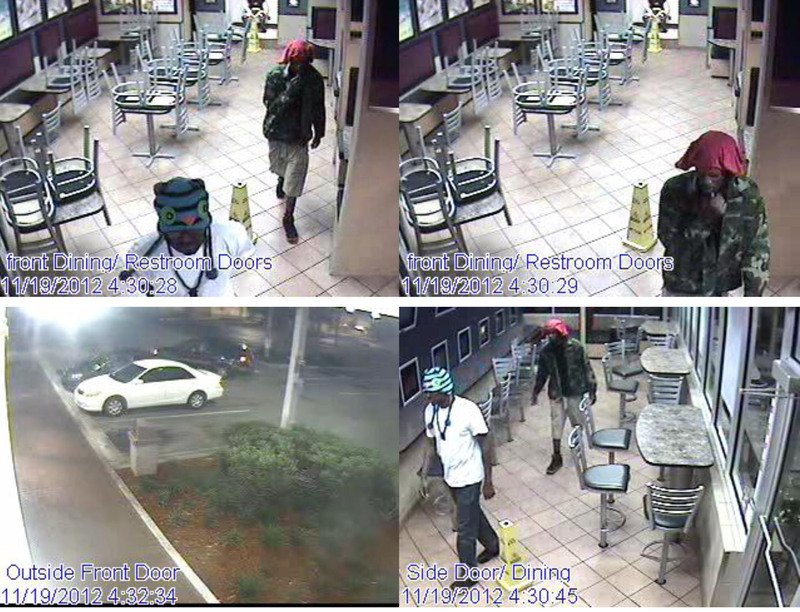 On 11/19/12 at 0430 hours the above two black males committed an Armed Robbery at the McDonalds at 4614 Hypoluxo Road, Lake Worth (PBSO Case #12-147082). They were described as being in their early 20s and both are approximately 5-10 to 6-0 tall. They both carried black semi-automatic handguns with the suspect in the white T-shirt firing a single round while inside the restaurant from a .380 semi-auto. They left in the dark smaller SUV pictured below.